Escape the city and head to Hamilton Halton Brant for communities that are big on small-town charm. From riverside appeal to fetching downtowns and heritage beauty, the region’s doable day trip destinations will take you to some of Ontario’s best spots to immerse yourself in history and character. These four day trip options will also lead you to great shopping, tasty eats and knockout nature along the way. If a trip to Europe isn’t on the agenda, the dreamy riverside town of Paris can deliver a postcard perfect alternative. The downtown embodies a number of architectural styles—Victorian, Edwardian, Gothic, and Post Modern—but Paris is renowned for its cobblestone buildings, including two churches and 10 residences that are still in use today. It’s no surprise that this spot has been voted the “prettiest town in Canada”. A large river, The Grand, flows right through the town, one that you can spend the day hanging out beside and swimming in. There are also open-air cafés, bakeries, award-winning fine dining restaurants and unique shops. Aside from the picturesque photo-ops, consider taking in some great outdoor activities, like hiking, kayaking and white-water rafting. 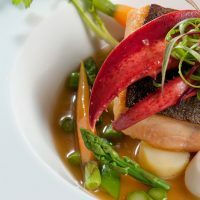 • French bistro fare at Juniper Dining Co., creative cuisine and cocktails at Edit at The Arlington Hotel, or eating on the patio at Stillwaters Plate and Pour. 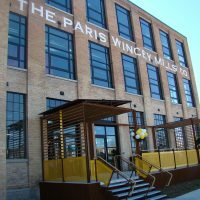 • The Paris Wincey Mills Co., a historic building that is home to a year round farm-to-table market hall and comfortable café. • The Great Canadian Buttertart Festival, held every October. 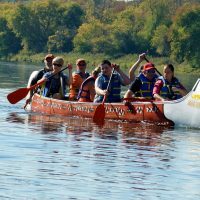 • Paddling on the Grand River, whether you “turbo tube”, take a paranormal paddle, or pedal and paddle. 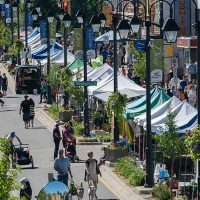 Street strolling can be one of the best ways to fall for the charms of a great small town, and you’ll find walk-worthy downtowns in two places just outside of Hamilton. 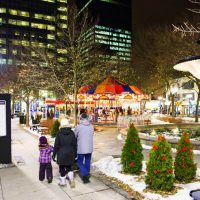 Travel to the quiet little find that is Dundas and stroll its vibrant main street, featuring longstanding restaurants, boutiques, and businesses with well-preserved 19th-century architecture. The town’s geographical location in a valley makes it the perfect starting point for exploring the surrounding conservation areas that include a wealth of trails and waterfalls. 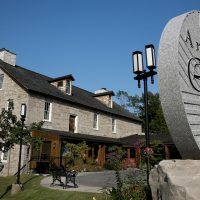 A short fifteen-minute drive away is the village of Ancaster, one of the oldest communities in Ontario. For a century the town was a gristmill hamlet, and its rebuilt historic mill now operates as a restaurant. 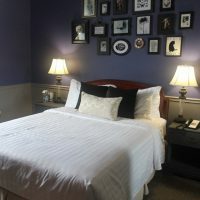 Its heritage is also evident in its architecture, best enjoyed by a walk through the downtown with its quaint shops, restaurants and historic buildings. The character and beauty of the community is intertwined with the Niagara Escarpment, so take some time to enjoy its natural geography and hiking opportunities. 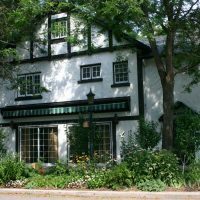 • The Dundas Museum and Archives, located on one of Dundas’ most sublime residential streets. 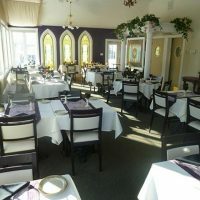 • Quatrefoil, Dundas’ five-star dining pride and joy, or its acclaimed coffee house, Detour Café. 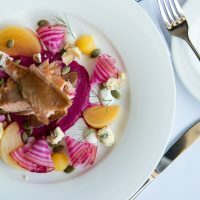 • The Ancaster Mill, a scenic creek side eatery in a restored mill that offers farm-to-table entrees and a fixed price lunch. • Tiffany Falls Conservation Area, with its eponymous waterfall and hiking along the Heritage and Bruce Trails. • Fieldcote Museum, home of a summer performance arts series and the perfect place to find out about local history and explore award-winning gardens. Small town seekers often enjoy the drive as much as the destination. Take a ramble along the rural roads of the Halton Hills and you’ll come across an abundance of small towns, villages and hamlets to explore. Start your day in Georgetown, founded in 1823. Wander through the historic downtown where many original historic buildings still stand, making it one of the most frequently filmed towns in Ontario. 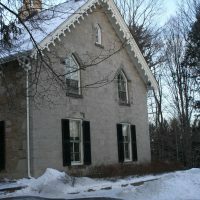 Nestled on the banks of the Credit River Valley at the north end of Georgetown along the Niagara Escarpment, Glen Williams is home to many visual artists, and contains a collection of artist’s studios. This small hamlet is also noteworthy for its antique market and antique stores. 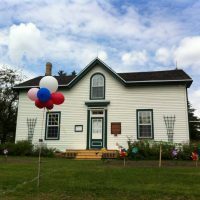 From the Georgetown area, a short drive will take you to Acton, another location that can make a claim as one of the oldest communities in Ontario. The town is also affectionately known as “Canada’s Leathertown” and “the last small town near Toronto”. • Fresh strawberries or tomatoes from The Downtown Georgetown Farmers’ Market, held Saturday mornings, June through October. 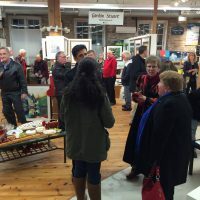 • Browsing the works of thirty artists and artisans in the four historic buildings of the Williams Mill Visual Arts Centre in Glen Williams. • The Credit Valley Footpath, a 16 km trail that takes you through Glen Williams and to a beautiful view overlooking the hamlet. 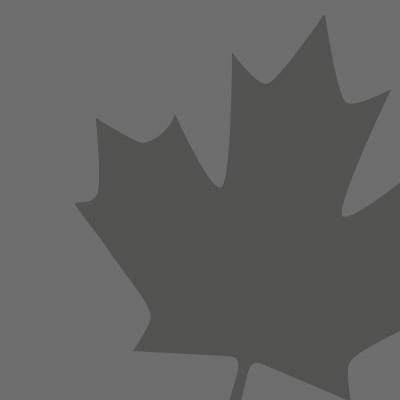 • The Old Hide House in Acton, widely known as Canada’s largest leather store with a large selection of fashions, accessories and furniture. • Acton’s Leathertown Festival, a large family-friendly street festival held annually in August. Antiques and artisans are the draw for those travelling to the small town of St. George and its environs. Reminiscent of a small British village, the single block downtown core offers numerous antique stores, some with multiple co-operative dealers and others specializing in furniture, china and collectibles. 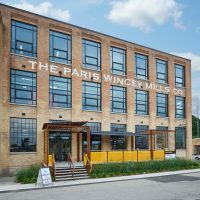 Head outside of town to visit local studio and craft artists that call the area their home, or pick a spot close by to access the Grand River for canoeing or the Cambridge to Paris Rail Trail for hiking. • The Adelaide Hunter Hoodless Homestead, the birthplace of the co-founder of the Women’s Institute Movement. • St. George Applefest, an event for all things apple held annually the third weekend in September. • The studio and store at Donn Zver Pottery, a few kilometres east of town, where you can purchase dishes and serving pieces or eat from them at the on site cafe. 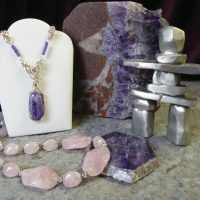 • The showroom at Robert Hall Originals, home of unique pewter products, petrified wood “statues” and dazzling amethyst geodes. 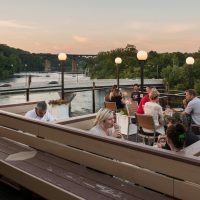 Exploring the small towns of Hamilton Halton Brant might give you a taste for more romantic couples’ escapes or weekend trips with friends. Find trip ideas that will help you discover our unique natural settings, renowned heritage sites, attractions and museums, vibrant arts, distinct downtowns and delectable dining. Wednesday, April 24, 1:30-4:30pm, in my Carlisle Studio, $54 per person including all supplies. Find rustic Italian cuisine and local brews at the whimsical Cascata Bistro. 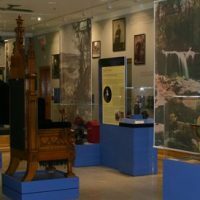 Slow down, explore and dig a little deeper into the interesting history of Brantford and Paris.